A unique, breathtaking experience, amidst some of the most spectacular sights and experiences Norwegian nature has to offer. Exclusive, tailor made adventure cruise for small, private groups. This multi day private adventure cruises, call them exlusive expeditions, will bring you close to the raw and wild nature, while you reside comfortably aboard S/Y Athene. After an unforgetable day in the fjord, you will gently fall asleep in soft, comfy beds aboard, while the yacht is safely anchored in spectacular surroundings. Wake up to a new day filled with exiting activities and adventures, or just chill out onboard. A cool start of the day could be a refreshing morning swim in the deep, clear, but chilled sea! We explore all the famous locations in Lysefjord, including spectacular close-up meetings with the raw and dramatic nature. We visit the world famous Pulpit Rock, both from the top and from the seaside. 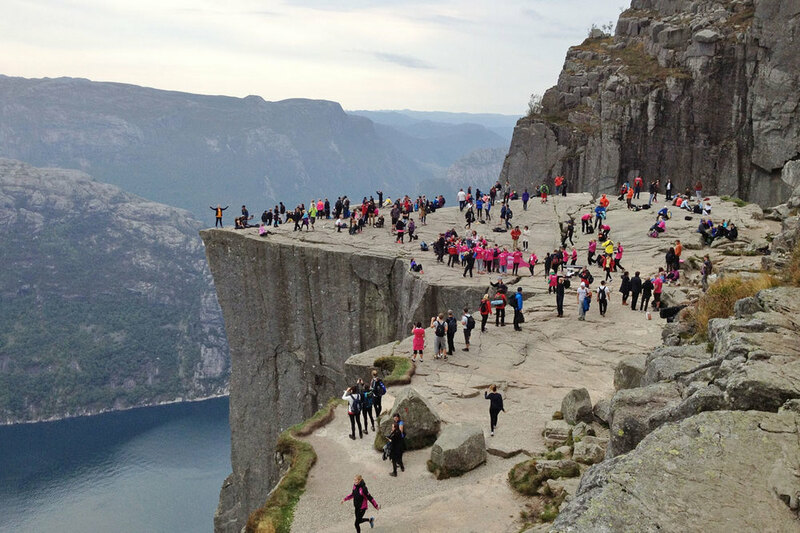 You may also take the opportunity to climb Flørlitrappene, 4444 steps, the longest wooden staircase in the world? For the well conditioned, Kjeragbolten is a must-do! 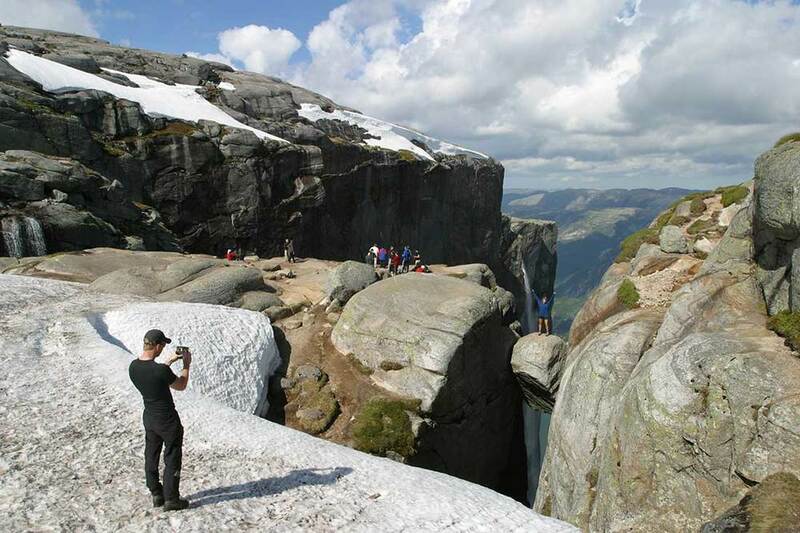 Or how about the spectacular Trolltunga? In addition, we offer a range of other exciting and less challenging activities. Delicious food, fresh from the sea, will be on the menu. We may also encounter wild life such as seals, eagles and porpoises. The crew knows the Fjord very well, and has extensive experience in this kind of hosting and activities. We are looking forward to offer you an experience that will exceed your expectations! Below is a selection of various multiday adventure cruises. Pick one, or customize your own perfect adventure! Combine your visit to the world renowned attraction of the Lysefjord with a fjordcruise in style and kayak tour to experience the fjord’s natural features from a different perspective. docked in a natural harbour. life is good. Visiting the two major attractions of the Lysefjord has never been easier or more luxurious. Sit back, relax and let the landscape and wildlife awe you. SailSafari makes it possible to visit the three great hikes of the Lysefjord in style. After each hike, recharge aboard enjoying a good meal and great vistas. Be an explorer. be an adventurer. Design your own trip picking the cherries on our list of activities. Just contact us for more information. We can assist you in adjusting your adventure cruise to your preferences, including desired physical activity, length of journey, and much more. If you would like a few days on the Fjords just chilling out, visiting local art galleries, get spa-treatments, inhale fresh air and relax, get to know the local history and culture, we can arrange that! What about a slow and easy horse ride to stunning view point? 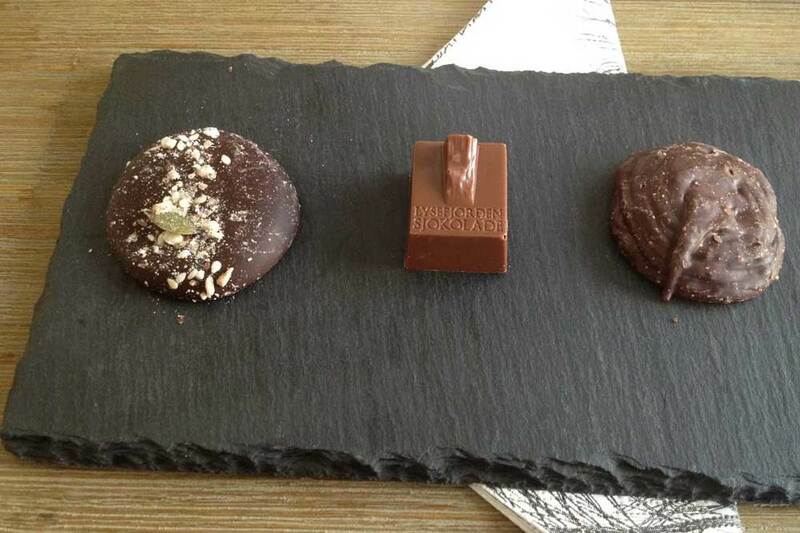 Or an exclusive private visit to Lysefjorden Sjokolade, the local chocolate farm, with lots of tastings? We will bring you close to raw nature, and serve you the very best foods and beverages in the most spectacular surroundings. Here is a broad selection of activities and excursions that can be offered to our adventurers during a multi-day or day cruise. The yacht will be the ”base camp”, and we will travel from one area to another to explore new adventures and exciting activities. Some activities lasts for a few hours. Those marked with * are half day activities and ** are full day. You can put together your own mix of activities. Just pick and choose those activities that suit you best.